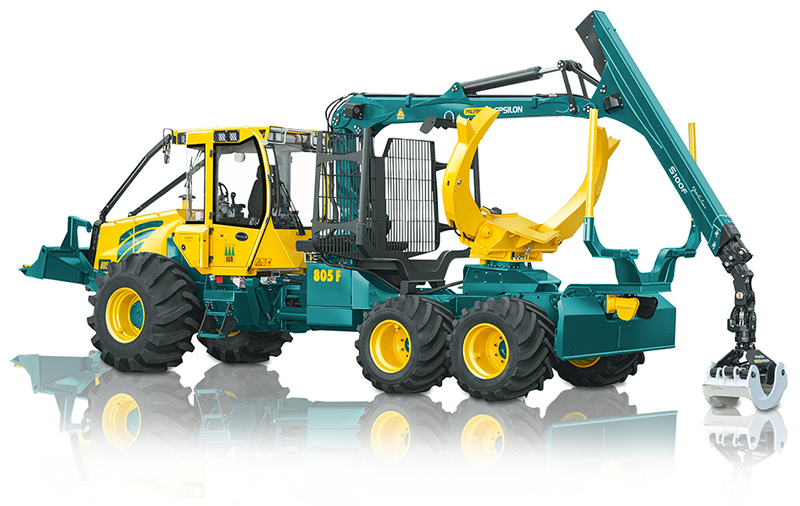 HSM combination forwarder machines are available in various performance categories and versions. They feature a wide range of applications. Long or short timber – hardwood or softwood – thick trees or thin. The solution for diverse application scenarios in timber harvesting are "combination machines" from HSM. Whether you opt for the combination version or the short chassis version, timber harvesting measures can be performed with extreme efficiency and at the highest level of work quality with different types of material or lifting operations at various locations. The result is perfectly presentable and offers the customer a formidable performance package despite irregular framework conditions. The success of our customers also relies on a forwarding quality that assures subsequent orders. Providing support for this success still remains HSM's main objective. The basic models HSM 805F – HSM 904F and HSM 208F can all be offered as short chassis (KC) or combination versions. HSM has therefore developed a convincing modular system that permits the implementation of customer-specific requirements while keeping procurement costs reasonable.